For products in stock : The shipment is made within 24 hours from Monday to Friday (excluding holidays) after the payment has been received. For products on order : Allow an extra time to produce which is specified on each product page. In case of exceptional delay in making your order, you will of course be notified by email. Also, if manufacturing time increases, I'll notify clearly on each product. All my creations can be sent all over the world with Colissimo. The tracking number will be sent once the package shipped. You can consult the steps of delivery on La Poste website. 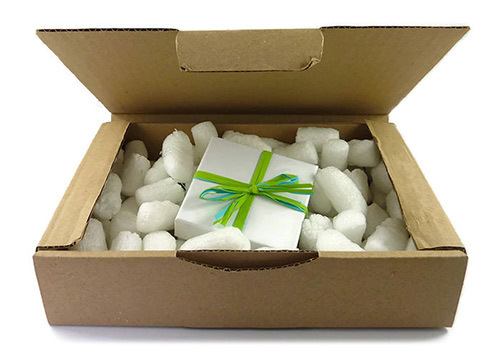 The products are carefully secured in the box with bubble wrap or polystyrene chips to protect them during shipping. In the spirit of recycling, most of my bubble wrap is after the recovery, and it is not excluded that I re-use old cartons. The amount of postage is calculated on the total weight of the order. 2 working days for Metropolitan France (including Corsica), Andorra and Monaco. 5-7 working days for Overseas : Guadeloupe, Martinique, Mayotte, Réunion, Guyana, St. Pierre and Miquelon, Saint Martin, Saint Barthelemy, French Polynesia, New Caledonia, Wallis and Futuna, French Southern and Antarctic. 3-8 working days for all other destinations. Compensation for loss or damage under the La Poste's rules. For some products, it's possible to make a shipment with tracked letter. his requires that the content does not exceed 3 cm thick (which excludes entomological box frames and some painted pebbles, necklaces and rings). This sending option is only available for deliveries to France, Andorra and Monaco. Again, the tracking number will be communicated after the shipping. You can consult the steps of delivery here. The products are sent in a padded envelope to absorb shocks to the maximum. I suggest you to choose delivery by Colissimo for your products are fully protected. The total price of shipping is calculated on the total weight of the order. Indicative delivery times of La Poste are 2 working days for Metropolitan France (including Corsica), Andorra and Monaco. If this type of delivery is not offered when you validate your order, is one or more items in your cart can only be delivered as well, or that the delivery address is not located in France, Andorra or Monaco. The delivery price is calculated on the total weight of the order. For France, Andorra and Monaco : From 4.95 €. For the European Union and Switzerland : From 12.30 €. In Europe outside the European Union, Eastern Europe and North Africa : From 16.65 €. For Guadeloupe, Martinique, Mayotte, Réunion, Guyana, St. Pierre and Miquelon, Saint-Martin and Saint-Barthelemy : From 9.45 €. For French Polynesia, New Caledonia, Wallis and Futuna and the French Southern and Antarctic Territories : From 11.40 €. For the rest of the world : From 24.35 €. For France, Andorra and Monaco : From 2.11 €. Warning : the amount of the delivery costs do not take into account any customs fees ! If you do not live in France, I advise you to check before order.